When in comes to replacing an interior door it is not as scary as you may think it is. In fact, it is very easy and you can do it with tools you already have laying around your home. 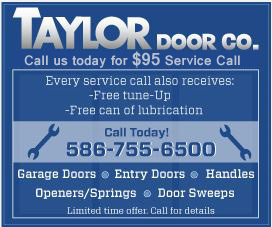 The following is an instruction guide on replacing an interior door. When replacing an interior the most important point is to make sure the door you are about to put in is the correct size. To do this yourself is easier than you think and will save you some money by not having a hardware store custom cut it. When picking out a door, remember to purchase one that is slightly larger than the frame and then to cut it down. First you need to remove the old door then take out the handle and hinges. Take this old door and lie it on top of the new uncut door. Using a marker or pencil mark the exact size of the door. With a circular saw, cut the new door to size. Using the old door again, line up the area where the hinges went and mark two lines. Using the line you made, chisel out the wood slightly so the hinges will sit inside the new door. Screw the hinges back on then give it a quick check back in the door frame. Drill the hole through the front of the door and the side for the handle and locking mechanism. Assemble the handle and lock in the hole you made and then place the door on its hinges. Looking for the very best in parts and tools for your next door project? 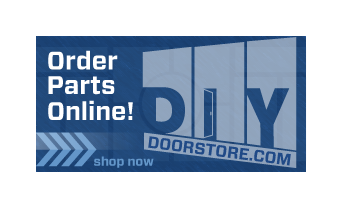 DIY Door Store has everything you need to save yourself some money and fix that door on your own. Check out our full site and get prepared for your next project!